Item is a used Meheen 6 head bottle filler/crowner currently set up for 22 oz glass beer bottles. The machine includes the integrated rinse rack and sani pump, crown sorter/feeder, and some spare parts. 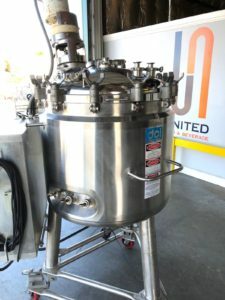 The machine was built new in 2008 and reaminas in very good condition having been lightly used in a breweyr for the last several years. The machine is skidded and ready to ship from our showroom in Portland, OR. Inspection is welcome. Please send private email or call Jason for delivered price to your door. Due to planned retirement, well established (30 plus years!) trailblazing business for sale or lease on the Outer Banks of North Carolina. Excellent reputation for quality beer and food. 90 seat pub with outside beer garden. Fully staffed by true craftsmen. Can operate as stand-alone or as a production unit with satellite pubs. Beer and meat products are sold on premise and self-distributed. Fully equipped State of the art butchery with computerized smoke house. 20 bbl. nearly new brew house. Canning line, 300 bbl. aging capacity. Over 20,000 sq. ft. building. Sale or lease considered to the right person or family. Buyer/operator has to have a long view of the local food and beer movement. 14 acre farm is transitional organic and can be used for vegetable production or barley for malting. Serious inquiries only. 71 Plate Thermaline single pass HX. Clean and in decent shape. Please see spec sheet for details. We have a 71 plate double pass on our 10 BBL system and chill wort to ale temps without issue using just groundwater - never needed to even hook up glycol to the second pass. I'm assuming this would perform the same, so it should work great on an 8-10 BBL system. Located in Ft. Collins, Co. Willing to crate it up if buyer arranges shipping. 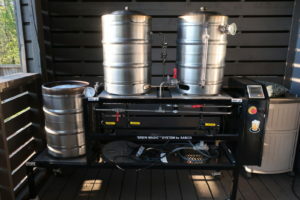 We are a small beer manufacturer who also offers customers DIY brewing (all grain). 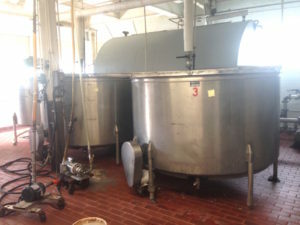 Brewhouse includes six 1/2 barrel Brewha Systems. 1700 square foot space incorporates our brewery and tasting room. Opened September 2016. Growing revenues, client base and brand recognition. 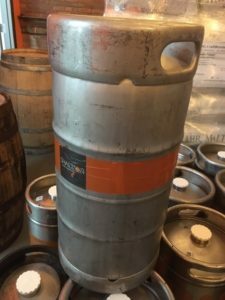 Turn-key operation for an existing brewery looking for a tasting room or for a new brewer wanting to break into the business. Located in Torrance, CA a growing craft beer destination. Please contact for more information. Hey there, I have 8-44# cases of Mosaic. 11.1% AA. $15/lb. + shipping. Works great! We need to upgrade to outdoor one so we can put one on the roof! We need room! Temptek CF-10A Chiller. 10 Ton Portable Air Cooled Water Chiller with Reservoir & Circulation Pump. On casters. Condition is Used. No leaks. Clean inside! Email for any questions! Text only! It is on the pallet, strapped, and ready for shipment!